Scientists at Arizona State University's Mars Space Flight Facility designed and operate the Miniature Thermal Emission Spectrometer (Mini-TES) instrument on each of NASA's two Mars Exploration Rovers, Spirit and Opportunity. 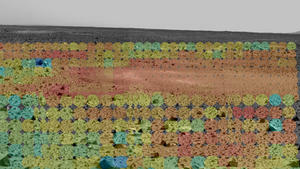 Mini-TES acts as scouting eyes for rover scientists. 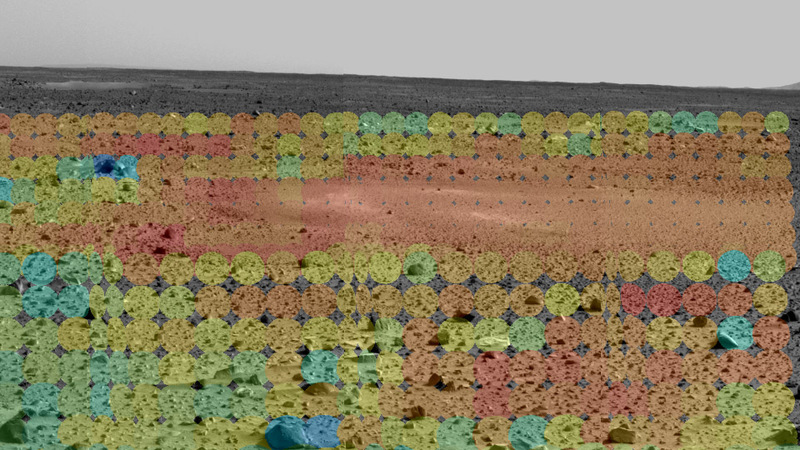 The instrument can look ahead and identify possible targets of mineralogical interest among the outcrops, loose rocks, and soils around the rover. This ability has proved of particular value with the Spirit rover, which is exploring the complex and jumbled geology of the Columbia Hills inside Gusev Crater. Steve Ruff of Arizona State University is the scientist in charge of day-to-day operations with Mini-TES. He says, "Every time Mini-TES has said to us, 'Hey, team, there's something worth looking at over there, let's drive to it,' that has paid off in a new rock type." So far, he says, Mini-TES has led scientists to identify roughly a dozen different rock types -- and perhaps two or three times that number await more precise evaluation. "Mini-TES has never yet been wrong."